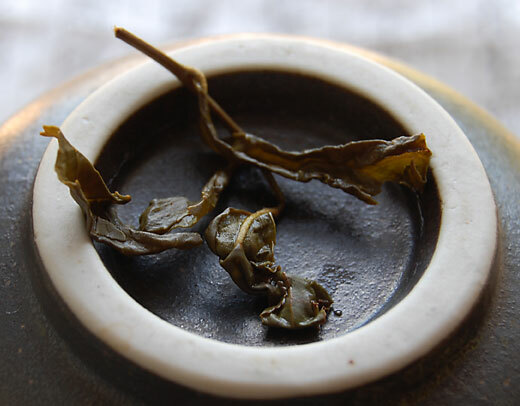 In continuing my series on Oolong teas, this morning’s tea, called Bao Jun, comes from the island of Taiwan, located just across the Formosa Strait from Fujian Province in China, home of the Chinese Oolongs. 235 miles long by 90 miles wide, Portugese traders called this island, covered in misty forested mountains, Ilha Formosa. For many centuries, the island’s original inhabitants, of Polynesian descent, had cultivated and processed tea picked from wild-growing tea trees found high in the mountains. In the 1600s, the Dutch brought over Chinese citizens from Fujian to work as laborers. Some of these immigrants brought tea bush cuttings with them and established tea gardens in various mountain areas, teaching the natives their own methods of tea cultivation. 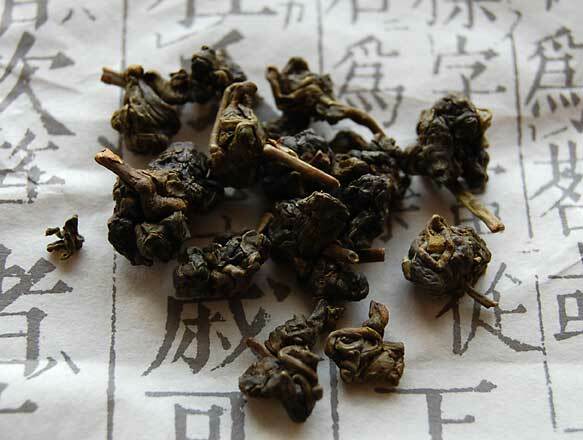 Thus was born a unique history which merged native with immigrant tea knowledge. Look how these 3 leaves are still connected to the stem. Gorgeous! 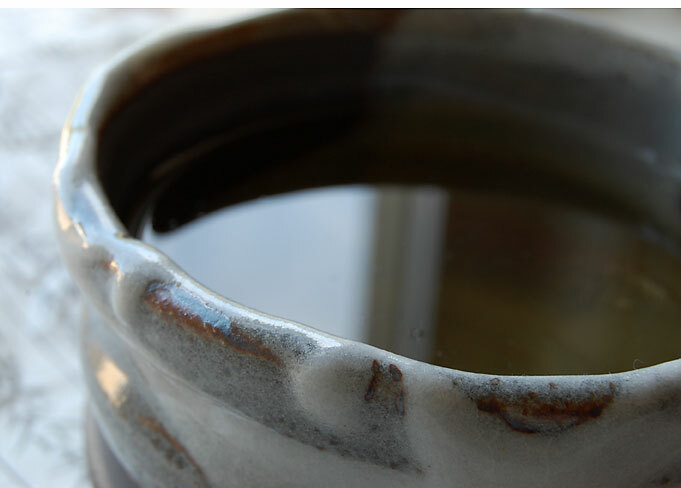 This beautiful, hand-made artisan tea, comes from a small family farm located in the Shan Ling Xi area in the mountains of Nantou County, located in central Taiwan. I wrote about another tea grown there and more about this farm here. I steeped the leaves for 4 minutes in 190 degree F water. 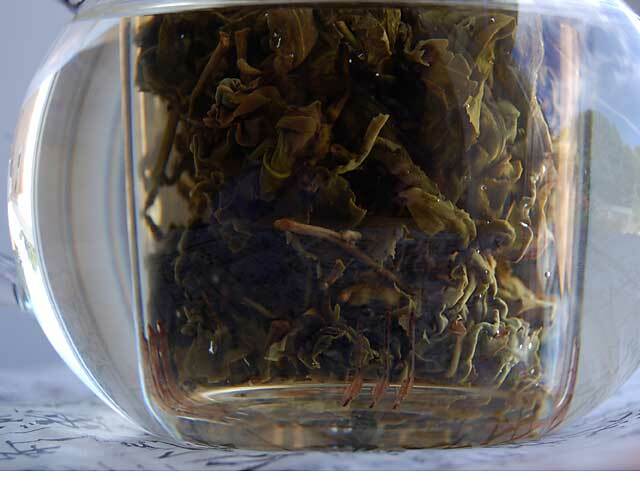 You can see how the curled leaves are beginning to unfurl, however, they are not fully unfurled until after the 3rd or 4th infusion. This makes them ideal for multiple steepings. The aroma carries wisps of a light floral scent. 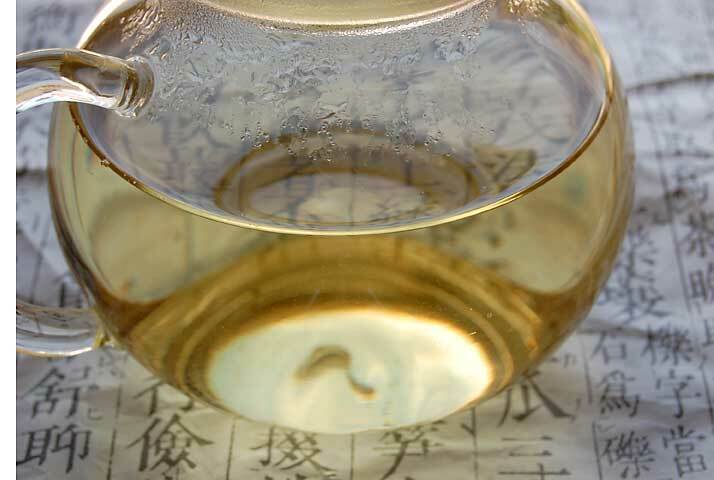 Its pale gold liquor has a honeyed flavor with notes of flowers and fruit. A magnificent tea! This past week, our weather has turned cooler and less humid and, yes, there is a very faint hint of the changing season to come. A friend of mine told me that August always makes her sad as she feels the cool winds of change coming our way. Still, our weekend temps are forecasted in the 80s and I will soak up this rich, sunshine-y warmth as long as I can by taking a long, meditative walk on the bike path near my home. How are you enjoying your August?